Over the past few years several people have contacted me asking how to start a community or urban garden. They have the land and they’re keen to create a garden that will benefit everyone in the local area. Although it’s best to start with the people as you can guarantee an enthusiastic working group, it’s not impossible to begin the project with the land first. Hold a public information meeting where you can share your ideas. Put up flyers in shop windows and pin them to telegraph poles. Contact your local newspaper and/or radio station and enlist their help. Contact the department in your local council that looks after local community. Hand our leaflets to parents waiting for their children at school gates or sports fields. Have a targeted Facebook campaign inviting people to learn more or meet up. Holding an open morning inviting people to drop in. Have a plant sale that highlights what you’re growing in the garden. 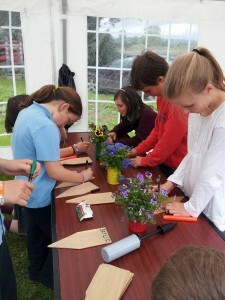 Invite different groups in for a gardening session such as active retired, local schools, scout groups or nursery schools. Offer training, accredited or otherwise (contact your local ETB (was VEC) to enquire about funding a tutor. The more options you give people for hearing about your community or urban garden project, proposed or current, the better. Not everyone reads the local notes or parish newsletter so if you only advertise in these two publications, you’ll miss a lot of people. A good way to attract people to new or existing community gardens is to offer learning opportunities. Whilst folk might like the idea of growing their own vegetables they might not know how to begin or they might feel they don’t know enough to join a group. Just like many other activities, community gardeners come in all shapes and sizes from beginners to more experienced and they’re a friendly, welcoming bunch by nature who are willing to share their knowledge. A beginners course held in the garden will introduce new people to the resident gardeners, lessening any shyness. 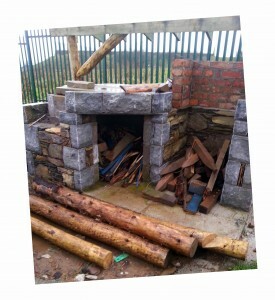 Other ideas for workshops and courses might include cob oven building, willow workshops, basic landscaping, stone building, rainwater harvesting or even a basic cookery course using the produce. 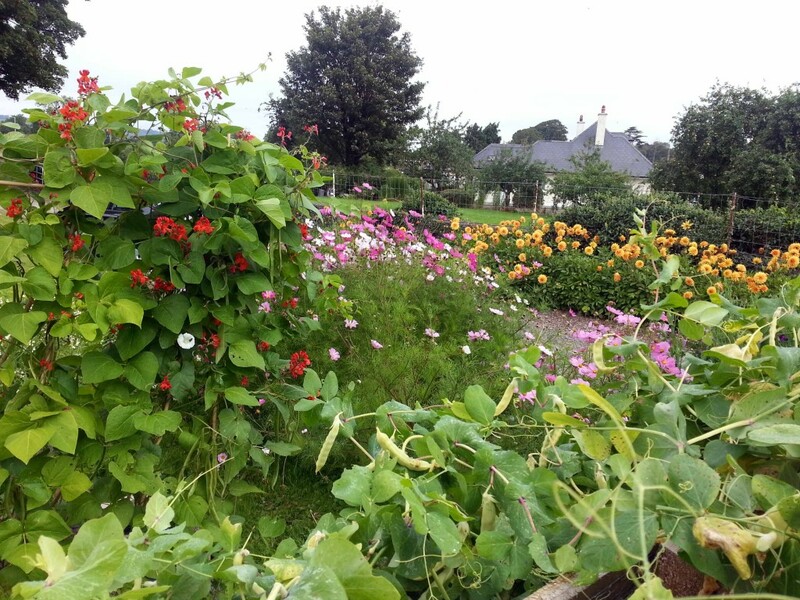 The Community Garden in Leighlinbridge, Co Carlow is currently addressing the issue of attracting more gardeners. It’s such a pretty garden in one of the most picturesque villages in Ireland it’s been a delight to be involved with it. Fr Lalor offered part of his garden to host the new venture and work began in a cold in February 2012. Through sheer hard work and determination, the community garden came together quickly and amazed everyone who attended the weekly meetings just how fast a garden can take shape. A couple of the original members who’d signed up fell by the wayside as other activities took their time away but the group continued on and worked in rain, hail and sunshine to pull the garden together. Within a few months the community garden had turned from a lawn into a productive and pretty vegetable garden and since then has settled into a group of around half a dozen men and women that meet every Friday morning for two hours and potter away. Leighlin Parish Community Garden is large, with around 300m² of space and has a dozen vegetable beds, herb and flower beds as well as polytunnel that was bought with support from the local area. It has room for lots more people to join in. To attract more gardeners to the group this year, the organisers contacted the local ETB (I’m on their registered tutors list) and brought me in as a gardening tutor to work with a new group for six weeks, teaching them the basics of how to grow their own vegetables in the hope that some participants will stay on afterwards, working alongside and socialising with the original community gardeners. It may be that a Friday morning doesn’t suit the majority of the villagers if they’re working or have very young children, or that perhaps people still don’t quite understand what a community garden is exactly, so it may take a few different approaches to attract new members. In the meantime, the original group are thoroughly enjoying the peace, socialising opportunity and harvest the large garden is providing them with and the new garden workshop participants have a beautiful place to learn new skills. Have you any tips or ideas how to attract people to a group you’re involved with that might be low in numbers? We’d love to hear about them. Interesting post Dee. As someone who has taken the plunge for communtiy events in the past (our bloggers network for example) I’d highly recommend just giving it a shot, see if you can get something going. Your tips will definitely help it become a reality. Do you find that most people don’t have much knowledge of gardening or are many participants fairly knowledgeable? Does it tend to end up being a mix of ages and backgrounds within a community – if so, it’s an interesting exercise in really building communities isn’t it? Gosh those questions aren’t easy to answer because every garden is unique. I’m working with three community gardens at the moment. One garden is predominantly 20-35 year olds with very limited knowledge, another mostly over 55s (though some younger mothers) with more ornamental knowledge than vegetables and the last one a mix of abilities and ages. 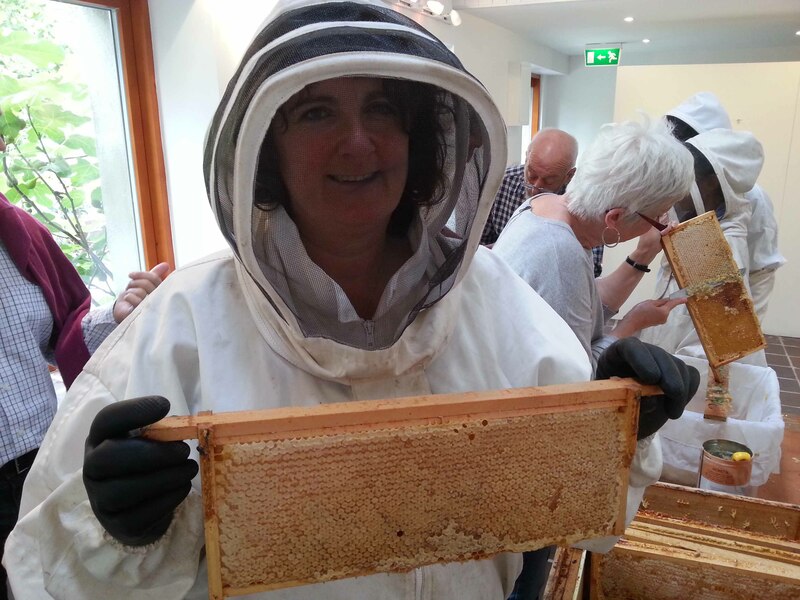 When I worked with Goresbridge garden a few years ago it was a complete cross section of social economic groups with a mix of genders and experience! With that in mind I guess community gardens can be described as attracting a cross section of society and no two are the same. I guess that’s the beauty of community gardens, they really can bring people together from all sectors. Hi Dee! I’m not involved in gardening of any kind, but to find new members for local community gardens how about using the local community groups that already exist to help recruit: e.g. GAA, ICA, toddler groups, or even the local church goers!